Kerala witnessed the worst flooding in 100 years. 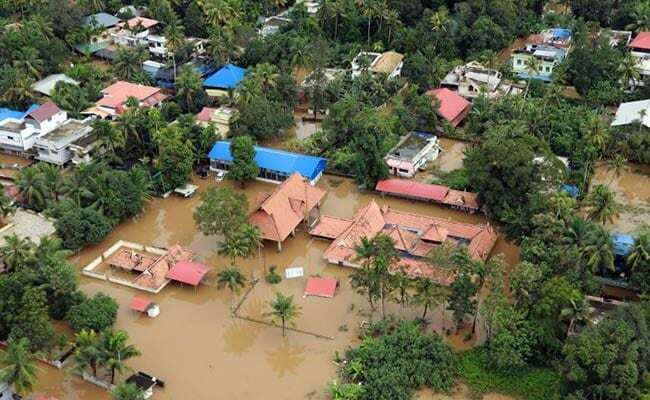 Kerala Chief Minister Pinarayi Vijayan had said that a total of 1.2 million people affected by floods had been housed in 3,314 relief camps in the state. UN Secretary General Antonio Guterres cited the devastating floods in Kerala and the wildfires in California as he expressed concern that climate change is "running faster than we are" and called for urgency and action to prevent ever greater climate-related crises. "Climate change is running faster than we are. The impacts are devastating, and it is usually the poorest and the most vulnerable who are hit first and worst by storms, floods, droughts, wildfires and rising seas," Mr Guterres said at the launch of the 2018 New Climate Economy report on Wednesday. Antonio Guterres warned that runaway climate change is a real possibility, with severe implications for communities, economies, peace and the security of nations. "Climate change has been proven to amplify and exacerbate other risks. Put simply, we need climate action to prevent ever greater crises. We must act with greater ambition and urgency," he said. The document, published by the Global Commission on the Economy and Climate - a project comprising several UN bodies and other institutions - finds that the benefits of smarter and clearer growth are significantly under-estimated, and that bold climate action could deliver USD 26 trillion in economic benefits through to 2030. Mr Guterres added that momentum for climate action is growing every day, with over 130 of the world's most influential companies now committed to using only renewable energy, fossil fuel-dependent countries looking to diversify and over 250 investors with USD 28 trillion in managed assets signing on to the Climate Action 100+ initiative. Antonio Guterres said clean energy systems help developing countries, where over a billion people still do not have access to electricity.